OOE expands Australian operation One Ocean Expeditions has appointed its first permanent Australia-based manager to serve its growing network of local wholesale and retail partners. RichaRd Cunningham, a former manager at Active Travel, has taken on the newly created role of sales, marketing and PR manager Australia/NZ/SE Asia of One Ocean Expeditions, the polar cruise company founded by Andrew Prossin in Canada. Prossin said Australia had rapidly grown to become “a very important market” for the company, which was previously represented on a smaller scale by the Active Travel team in Sydney. Cunningham, who worked with Prossin at Peregrine Adventures more than 10 years ago, also held a marketing role at World Expeditions and was instrumental in bringing the OOE product to Australia in 2007. “One Ocean Expeditions has certainly found its mark in Australia”, he said. “The Akademik Ioffe and Akademik Sergey Vavilov are very well known to Australian travellers, and the innovative team at OOE has changed the polar scene, introducing a raft of new initiatives over the past few years”. Season 2014-15 will be OOE’s sixth in the Antarctic, with a record 21 departures as well as seven voyages in the High Arctic next year, including the Canadian Arctic, West Greenland, and Spitsbergen. 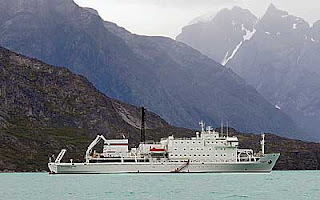 For info, visit www.oneoceanexpeditions.com or phone 0410 417 006.